It’s the day after Christmas, have you thought about where to recycle your tree yet? Scouts Canada hosts an annual Christmas Tree Chip-Up event as a fundraiser for the many educational and leadership programs they offer to youth. 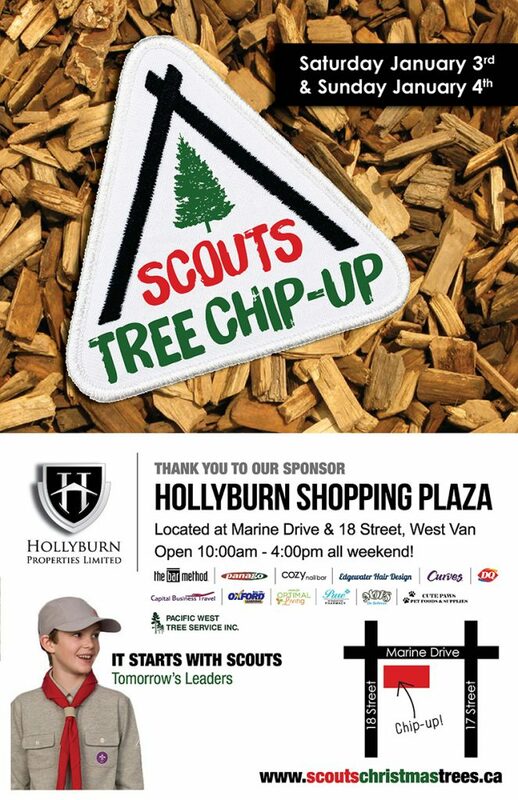 This year and last, Hollyburn has hosted the tree chip up in the commercial lot of our building Hollyburn Plaza, in West Vancouver. Chip your tree and support the Scouts! All donations graciously accepted. Clean your house for the New Year, support your community and get great deals– all in the same day! Previous Post Happy New Years Eve! Next Post Merry Christmas and Happy Holidays from Hollyburn!